Daniel's musical creativity extends beyond composing, performing, and producing music. He even designs musical instruments with some of the world's leading makers and companies. Here are some of his latest innovations in acoustic instrument design. Click to open a hi-res version of this sheet music giveaway. Conceptualized by GRAMMY Award winning ‘ukulele virtuoso Daniel Ho and master luthier Pepe Romero, the Tiny Tenor is a tenor scale ‘ukulele built to the length of a concert ‘ukulele, maximizing portability without compromising sound. Get big Tiny Tenor sound...in a soprano length instrument! This is the ST (Soprano + Tenor) Concert 'Ukulele. From his simple beginnings in Honolulu to his life amid the hustle and bustle of Los Angeles, Daniel Ho has worked over the years as a musician, producer, singer/songwriter, arranger, composer, engineer, and record company owner. The most compelling of these roles has been as a six-time GRAMMY Award winning producer, featured slack key guitarist, and artist in the "Best Hawaiian Music Album" category. The graphics are simple Asian brush strokes in black, which allow you to see the beautiful maple wood grain. The UkeBoard is a limited edition skateboard designed by Pepe & Daniel for a lifestyle centered around music, fun, relaxation, surf culture, and beach life. 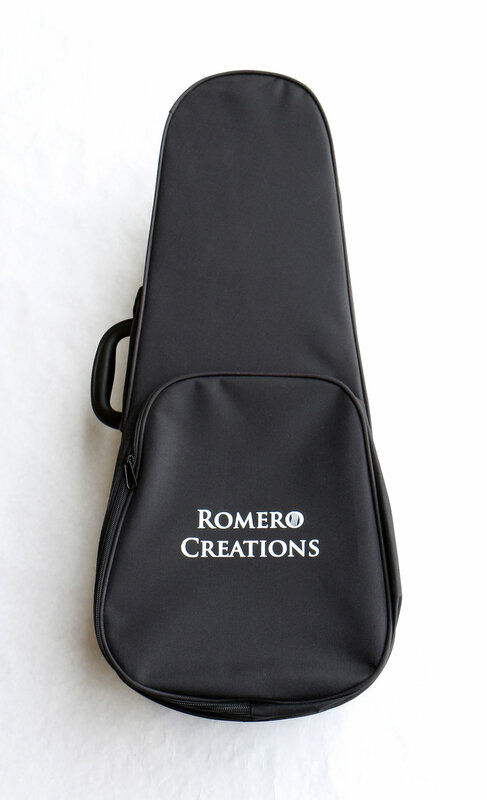 It's perfect for traveling musicians, students, and vacationers because at 24″ long, it fits in a suitcase, to go with you as you travel and see the world. Daniel designed these percussion instruments in partnership with Ohana 'Ukuleles. Ohana believes in the importance of quality, playability, and value and since 2006, has focused on making ukuleles from rich tone woods and constructions that yield the best-sounding instruments possible. Learn more at Ohana Ukuleles.